A bit behind with the posts as usual. Freya actually turned two on 22nd of January. She was still quite poorly and I was knackered from looking after a poorly two year old, I actually said to Craig that I wished her birthday had been a week later. We had decided not to do a big party or cheeky monkeys trip as she is still very young and wouldn't really get it. Nick and Nic were away, so no Elodie and it was a bit much to ask Becky and James to come for such a non-event. It ended up being a little family do with all the grandparents coming over. I am glad that there were no other kids there as asking a sick toddler to share anything would be a nightmare. I still wanted to make a bit of a fuss over her. 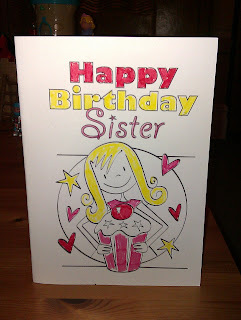 So a swift trip to Sainsburys after she had gone to bed, a bit of sticking and colouring et voila. 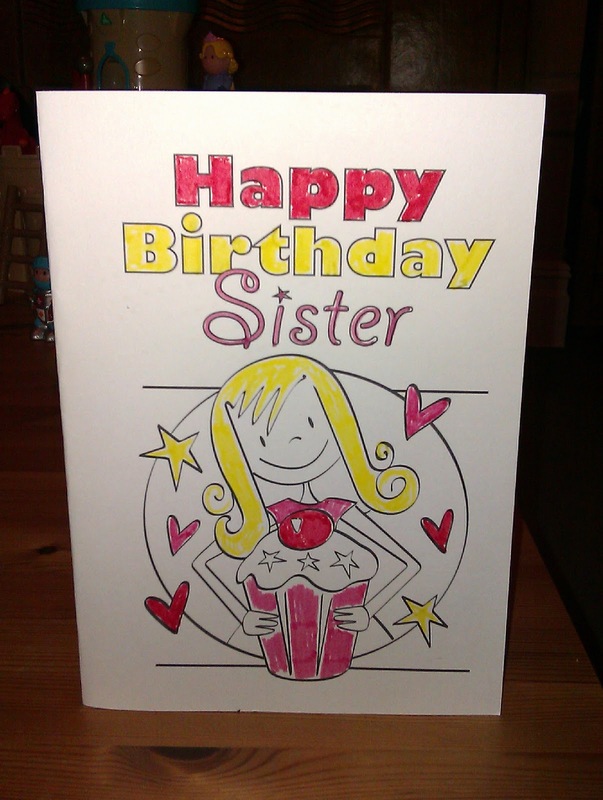 I printed out a card from ichild, this great website that I found which has loads of free resources. I coloured it in and sent it from Edie and Moomin. The party hats were a bit plain so I zsushed them up with some sparkly star stickers that Justine had given us. I spent ages doing a special one for Freya with a glitter F on it and some ribbons coming out of the top, she chose to wear a plain green one instead, kids eh. 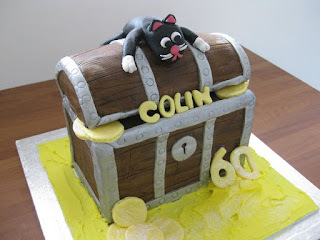 I was absolutely made up with the cake. I had considered attempting something myself. I loved the look of a Hungry Hippos cake that I saw on the internet but realistically, as I artistic as I like to consider myself, it would take a lot of practice and effort and frankly, I don't have the time right now. One of the girls I went to school with did a cake decorating course at night school after the birth of her son and makes fabulous cakes. She has just got a job in Manchester decorating cakes in a shop there- that sounds better than me going back the NHS. I have put in my off duty requests for returning to work week commencing the 7th March- big sigh. Back to the cakes, I was considering messaging Jill to see if she takes commissions but time ran away with me as usual. This is one of her creations. And this is what Sainsbury's had to offer... personalised with a bit of purple (Freya's favourite colour) glitter icing and Robert's your father's brother as they say. I was really pleased with it. 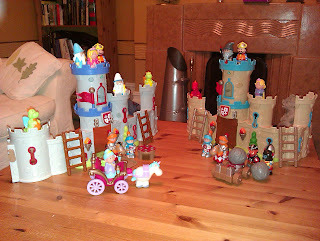 She got a really lovely haul of pressies, including an extra castle from Craig and I. We had a serious case of castle envy after Justine told us that the early learning centre castle we had bought second hand for Christmas used to be one of a set of two, goodies and baddies with a catapult and everything. So Craig managed to find a 'baddie' castle in the sale at Debenhams. We were fleetingly worried that she would go "schmah, another castle" but she seems to love it. Craig has given the little goblins names from Tolkien, I am not sure that I want Freya saying "Shagrat" at nursery but too late now. Stephen and Sally got her a Happyland princess carriage and some birthday figures from the ELC. I just love that stuff. She got a couple of beautiful coats from Nanny and Becky. This is Becky's denim number with my all time favourite Pumpkin Patch scarf. We bought the scarf in Liverpool after taking the girls out with too little clothes on, it was freezing, nevermind Edie got a new hat, Freya got a new scarf and pair of gloves and I got a cheap jumper from New Look that doubled in size the first time we washed it! She got glitter, glitter, glitter from Aunty Jussie and Lee, a 'Timmy' sheep from Glenn that makes a dreadful racket that we couldn't turn off so it was banished to the middle room. She also got a Charlie and Lola milk and biscuits set from Nanny and Grandad and some magnetic letters. Here she is enjoying a post party picnic, hot chocolate and cake on a rug in the front room. She loves our daily 'picnic' she doesn't realise it's just a way of me keeping the carpet clean. From Nanny Pat and Grandad Ray she got a Waybaloo playmat which she isn't quite sure of yet. Cool stuff. I have bought a writing set but still haven't got round to doing Thankyou letters. Freya managed to survive the day but just kept lying on the floor. Poor thing must have been glad when bedtime rolled round. The grown-ups popped a bottle of cava and enjoyed the evening with a Chinese- lush.